The Range Rover Velar now gains a higher output, four-cylinder petrol engine in the form of the 2.0 litre Ingenium engine shared with the four-cylinder Jaguar F-Type, which outputs 300 PS and 400 Nm of torque. It joins an already sizeable roster of four-cylinder engines, currently comprising two Ingenium diesels in 180 PS and 240 PS variants, along with a 250 PS version of the 2.0 litre Ingenium petrol engine. As with the unit in the 2.0 litre F-Type, the Velar P300, as it’ll be badged, employs a twin-scroll turbocharger with ceramic ball bearings, a setup which Land Rover says helps deliver 26% more airflow for improved performance. This petrol variant slots in near the middle of the Velar’s petrol line-up, with the 380 PS 3.0 litre supercharged V6 above it, likely to be also joined by the upcoming Velar SVR. Like all other Velar engine variants, the 300 PS four-cylinder petrol mill is paired to an eight-speed automatic transmission. Optional Terrain Response 2 and All Terrain Progress Control systems manage all-wheel-drive, while the 300 PS Ingenium petrol drives the Velar to a 0-96 km/h time of 5.7 seconds. 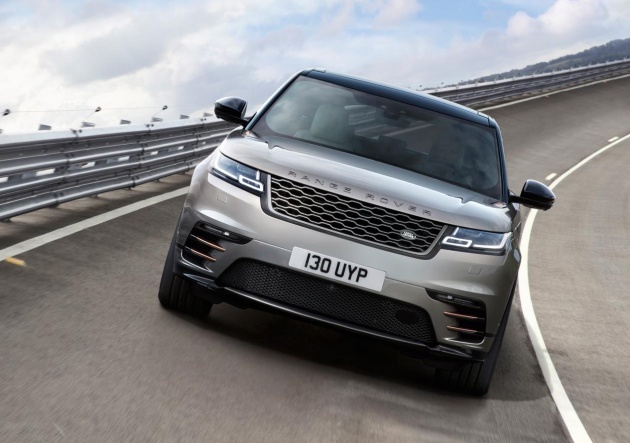 The Range Rover Velar line-up will be produced at the company’s factory in Solihull, UK, and is due to go on sale next month. Amazing how research has led this company to churn 300PS from a 2.0. Mild R&D. 300PS from 2.0 is nothing. 10 years old FQ400 alredi has 400PS from 2L. I dun foresee this RR topping the EVO numbers produced. I tot U always advocate saving lives. Why talking about Horse power when RELIABILITY is the Main issue. No wonder Tow truck driver are your Best friend. Oh, pls do find me a link that says Evos r unreliable.